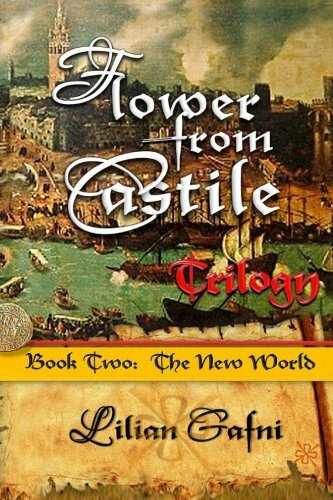 Book Description: The year 1493 ushers in a New World, and Columbus is on a voyage with the Santa Maria, the Pinta, and the Niña to reach the Indies by sailing west. One of the sailors, João Treves, blackmails Columbus—threatening to reveal a secret that could ruin him—compelling Columbus to stow away Conversos on his next voyage. When the journey stretches longer than their food stores, the crew becomes fearful and rebellious. 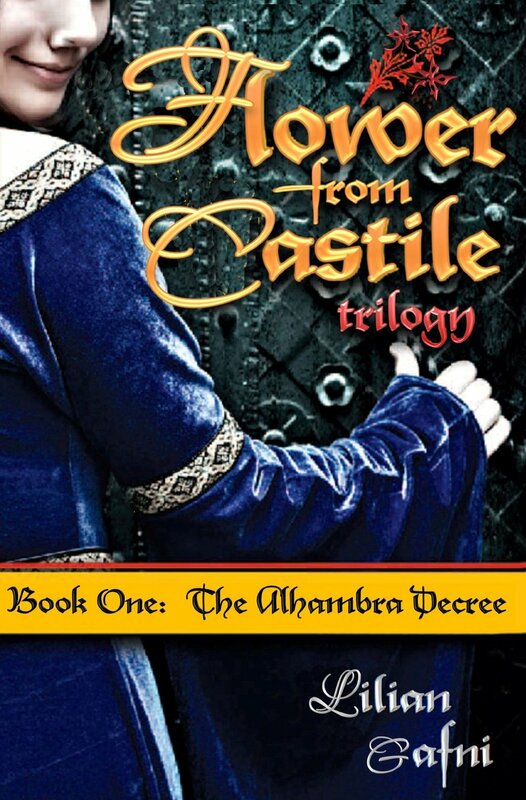 The ill-fated decision that instituted the Alhambra Decree and expelled all their Jewish artisans, farmers and workers leaves Queen Isabella and King Ferdinand vulnerable with depleted ranks of taxpayers. In her heart, the queen yearns for Columbus's return with the gold promised for España. “The New World” is now available for download on Amazon. 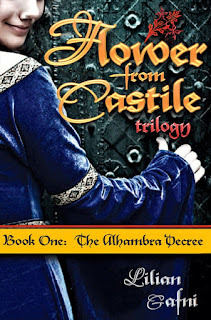 Want to catch up on the Flower From Castile series? 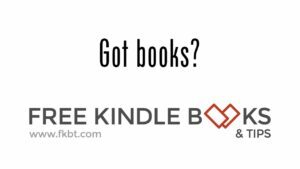 Book 1 “The Alahambra Decree” also available on Amazon. 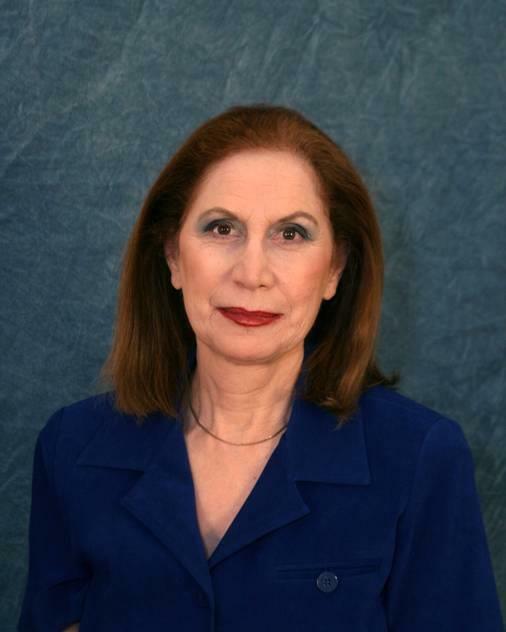 Lilian Gafni was born in Cairo, Egypt and attended the all-girls, non-denominational, French Catholic School of St. Vincent de Paul. While growing up, Lilian spoke Ladino (a mixture of Castilian Spanish and Hebrew words), a language spoken by Spanish Jews after their expulsion from Spain in 1492. Gafni writes with passion about the traumas of displaced Jewish populations because she once was attacked because of her religion. Her family fled to the newly formed country of Israel, where she had to adapt to a new life, country and language. Gafni seeks to give voice to the thousands of victims who have been brutally silenced through the ages due to their religion and personal history. 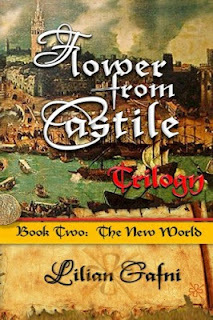 Thank you so much Rachelle for featuring my books Flower from Castile Trilogy on your colorful blog. I'm honored to be in the company of your followers.